New images have appeared via Getty Images from the November 30, 2017, Bea Arthur Residence Dedication. Read more details about the Bea Arthur Residence development here. 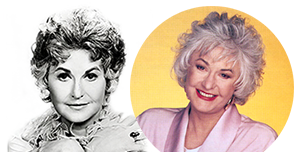 November 30 was also declared “Bea Arthur Day” by New York City Mayor Bill DeBlasio. Thanks to Bea fan Alex for passing on these pics!